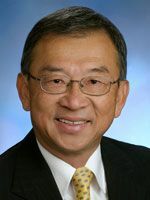 As a longtime member of the Bellevue City Council, Conrad Lee has done a good job representing his community. Conrad Lee has been on the Bellevue City Council for more than 23 years. While the editorial board has disagreed with him from time to time, he clearly has demonstrated a commitment to meeting the needs of his community. Despite his long tenure on the council, Lee says his enthusiasm for the job is undiminished and he is passionate about serving the Eastside’s biggest city. Bellevue voters should reward that zeal by electing him to a seventh term for Position No. 2. Strengths: Lee is concerned about public input and the needs and concerns of his community. The retired engineer and businessman is focused on transportation, traffic and quality of life. He wants Bellevue to make progress, while remaining fiscally responsible." Bellevue is a global, minority-majority city, and that keeps this Chinese immigrant and longtime resident relevant as a member of the council. The retired engineer and businessman is focused on transportation, traffic and quality of life. He wants Bellevue to make progress, while remaining fiscally responsible. His opponent, Randy Grein, is a network engineer who has been active in professional organizations and with 48th Legislative District Democrats. He is concerned about traffic and housing prices and would like to see the city slow growth. If he could, Grein says he would put a hold on new commercial development. He’s particularly concerned about issues that impact his neighborhood. Lee believes growth, even rapid growth, has been good for Bellevue and would like to continue on that path as long as the needs of residents are met. Eventually, the council will need some fresh perspective, but Grein is not that candidate. Bellevue voters should choose Lee, a council member concerned about the entire city.